The Central Board of Excise and Customs will be making the 74 year-old actor brand ambassador for the GST. Amitabh Bachchan promoted GST in a 40-second video of the finance ministry. 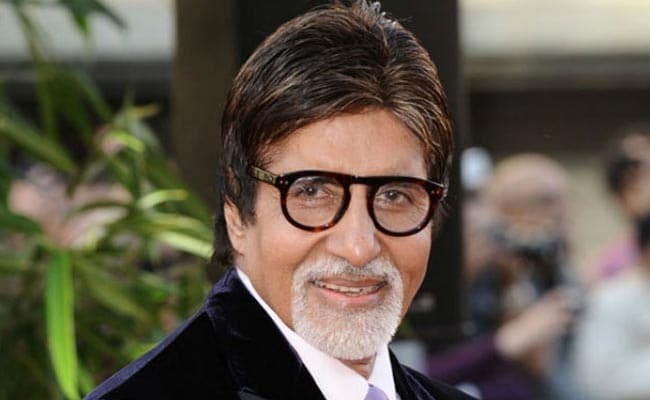 Mumbai: Senior Congress leader Sanjay Nirupam today urged Bollywood megastar Amitabh Bachchan to withdraw from the GST campaign to avoid getting targeted by traders later. The government has roped in Mr Bachchan to promote the Goods and Services Tax (GST), ahead of the scheduled July 1 roll out of the sweeping tax reforms. The Central Board of Excise and Customs will be making the 74 year-old actor brand ambassador for the GST. A 40- second video featuring him has already been shot and is being circulated. "The GST was a brilliant idea thought of by the Congress. It is another story that the BJP opposed it all the while it was in the opposition. But after coming to power, it started diluting the basic concepts of the GST, and that was not acceptable to us," Mr Nirupam told reporters in Mumbai. While the Congress sought GST as a single tax for the entire nation, the BJP introduced four tax slabs and three different sub-types of GST, he said. "It has become very complicated now. Traders and service providers are required to fill three long forms every month. Thus, the basic purpose of the GST is defeated. This is unlike the way the GST has been implemented in other countries," he said. "Some people are creating a confusion that we are opposing the same GST that we passed. But this is not true. We have always been for the GST but not in this format. "We tried for three years to get our reservations noticed by the government but they (the BJP) then started maligning us so we had to pass it," Mr Nirupam said. "That is why I am suggesting Amitabh Bachchan should not be a party to every foolishness of the BJP. You (Amitabh Bachchan) are a known person and have a wonderful reputation which may get maligned if there is a backlash from traders," he said.